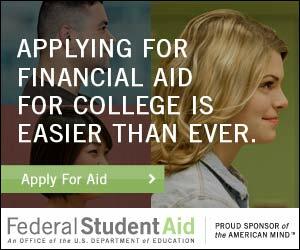 You can file your FAFSA now! Students may begin to file the 2018-2019 FAFSA starting October 1, 2017. Filing annually is required for financial aid, and filing as early as possible will allow more time to get your aid in place. Students applying and accepted to PCA&D will receive their financial aid information beginning in January. PCA&D returning students' financial aid award letters will still be distributed starting in May, after academic progress is determined. Check here for what documents you'll need for filing. If you filled out a FAFSA form last year and want to renew it, click “Login” on the fafsa.gov home page, and be sure to select “FAFSA Renewal.” That way, many of the (nonfinancial) questions will be pre-filled for you. Just be sure to update any information that has changed since last year. The FAFSA form asks a series of questions that determine whether you are a dependent or independent student for purposes of applying for federal student aid. If you are a dependent student, you must report parent information, as well as your own information, on your FAFSA application. More information about dependency status. If you’re a dependent student, you’ll need to report parent information on your FAFSA form. Visit our page on reporting parent information to find out who counts as your parent, what to do if you don’t live with your parents, and what to do if you don’t have access to your parents’ financial information. Here are some additional tips for parents. The FAFSA form asks for financial information, including balances of savings and checking accounts and information from tax forms. The 2018–19 FAFSA form, which will be available Oct. 1, 2017, will ask for 2016 tax information. The IRS Data Retrieval Tool (DRT) automatically transfers tax information into the FAFSA form. Learn about the spring/summer 2017 outage of the IRS DRT, how you can access your tax information without it, and how you can fill out your FAFSA form without the IRS DRT. Once you see your confirmation page, you’ll know you’ve successfully submitted your FAFSA form. If you provided an email address on the form, you’ll automatically receive the confirmation page by email. There are a few differences between the emailed confirmation and the one you’ll see on fafsa.gov before exiting the application, so consider printing or saving your confirmation page before you exit. For example, the emailed confirmation won’t include the college graduation, retention, and transfer rates for schools you listed on your FAFSA form.